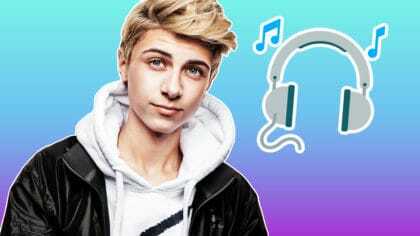 Side By Side by Lukas Rieger is Josh’s Next Big Thing this week! It’s a tune he loves so much that he plays it every day in his show, just after 7. This week, he’s chosen Side by Side by Lucas Riger! Lukas is 18 and comes from Lehrte in Germany. He took part in the 2014 season of The Voice Kids but didn’t make it to the finals. Since then he’s built up a massive fan base online and is being called the German version of Justin Bieber! Side By Side is a catchy pop tune with a big dance feel. Hear Side By Side from 7pm every night this week! Plus Josh will be taking us through the Pop 7 at 7.